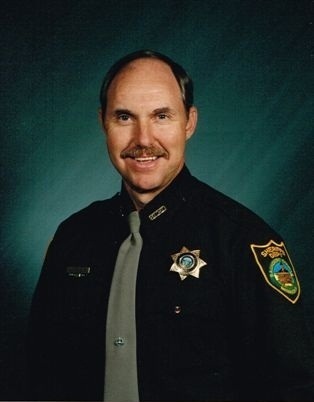 Sheriff Stukenholtz began his career in law enforcement with the Nebraska State Patrol in 1977. After more than 27 years with the Patrol, he retired at the rank of Captain in 2004. During his career, he worked in the Drug Unit and served on the SWAT Team (Special Weapons and Tactics). Immediately prior to his retirement, Stukenholtz served as commander of security in the Executive Protection Division providing security for numerous Governors including Governor Kerrey, Governor Orr, and Governor Nelson. After retiring from the Nebraska State Patrol, Kevin Stukenholtz began working for the Saunders County Sheriff’s Office as an Investigator. In 2007, he was elected Sheriff of Saunders County. In addition to a Bachelor’s Degree in Criminal Justice and Sociology from Kearney State, Kevin received extensive training with the United States Secret Service and graduated from the DEA’s Drug Unit Commander’s Academy. Stukenholtz is a graduate of the 190th Session of the FBI National Academy. He is active in numerous civil and community projects and is a long-time resident of Wahoo, Nebraska. Sheriff Stukenholtz is married to Judy and has three children. 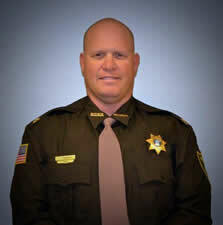 Steve Malina became a certified law enforcement officer in 1998 and began his law enforcement career working for the Colfax County Sheriff’s Office as a Deputy Sheriff. In 2001, Steve Malina was hired by the Butler County Sheriff’s Office and continued working as a Deputy Sheriff. In 2004, Malina joined the Saunders County Sheriff’s Office and was assigned as an Investigator where he worked various criminal investigations until 2014 when he was promoted to the rank of Captain. In October of 2016, he was promoted to Chief Deputy for the Saunders County Sheriff’s Office. In 1995, Malina joined the Nebraska Air National Guard Security Forces Squadron. Since that time, he has been deployed to numerous parts of the world. Currently, he holds the rank of Master Sergeant and oversees the Training Division. 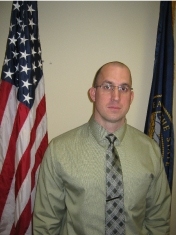 Brian Styskal joined the Saunders County Department of Corrections in November of 2008 serving as Security Administrator and holding the rank of Lieutenant. On July 1, 2010, he was promoted to the position of Director. Director Styskal began his career in the field of Corrections in June of 1994 with the Nebraska Department of Correctional Services. His time with the Department was spent primarily at the Lincoln Correctional Center where he held the rank of Officer, Corporal, and his last ten years as a Sergeant. In his career with the Department, he spent a brief period at the Department of Corrections Central Office working a security detail, conducting security audits of other state correctional facilities and also served on CERT (Corrections Emergency Response Team) for several years. Director Styskal is a native of Wahoo and currently resides in Saunders County with his wife and three children.